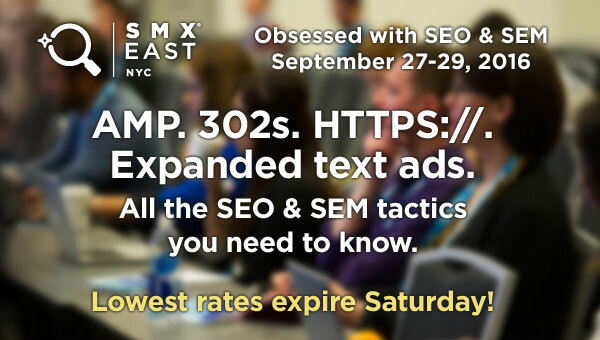 Search Engine Land’s SMX East is only a month away! 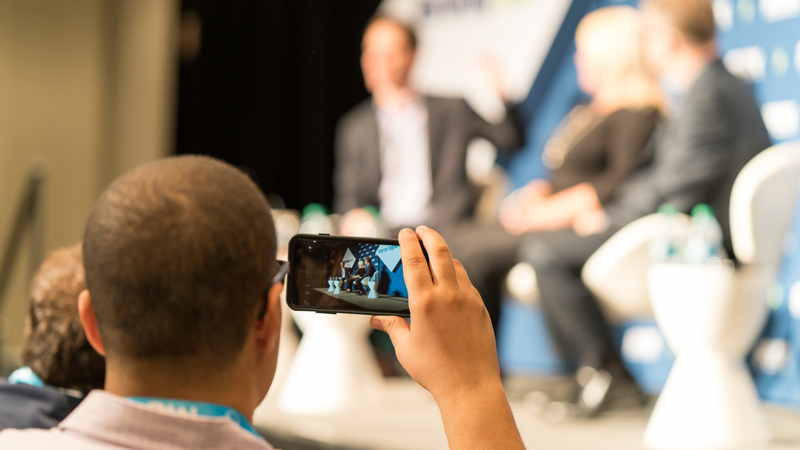 If you’re looking for cutting-edge SEO and SEM tactics that drive profitable and measurable results, then attending SMX East in September is a no brainer. Early bird rates expire Saturday, register for an All Access Pass and save $200 compared to on-site rates. Register now! Search Engine Land is a daily publication and information site covering search engine industry news, plus SEO, PPC and search engine marketing tips, tactics and strategies. Special content features, site announcements and occasional sponsor messages are posted by Search Engine Land. Tags:Channel: IndustrySearch Engine Land on InstagramSEM Industry: ConferencesSEM Industry: Search Marketing Expo - SMX.